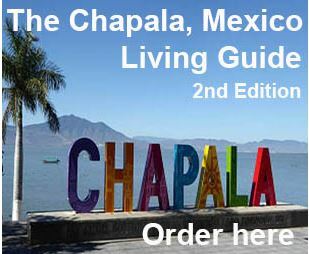 Oaxaca, Mexico is known for the variety of quality restaurants and food selections. We stumbled upon Mezzaluna Italian Ristorante on one of our walks through the streets of the city, and decided to take advantage of their daily lunch special. 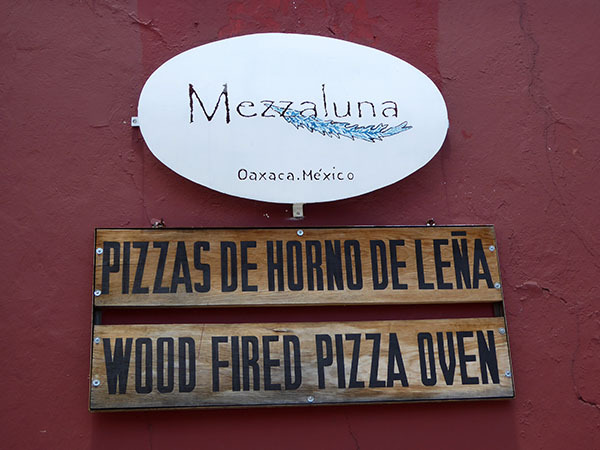 Mezzaluna is known for its wood fired, thin crust pizzas. Real mozzarella is used instead of imitation and the word on the street is that it's the best pizza in town. If pizza is not your thing, the menu also offers pastas, chicken and meat dishes too. 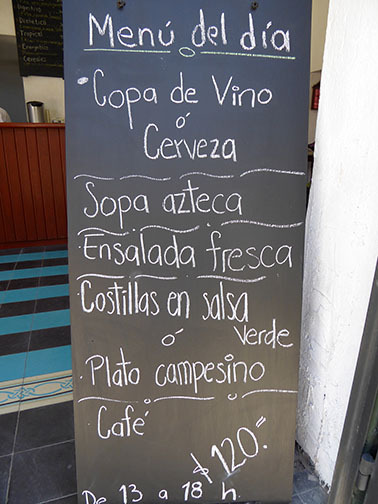 For 120Pesos, or about $6.50US at the time, the daily menu gives you a glass of wine or a beer, Aztec soup, a fresh salad, your choice of ribs in green sauce or a country plate, and a cup of terrific mountain grown, Oaxacan coffee. We were captivated and eagerly went inside. 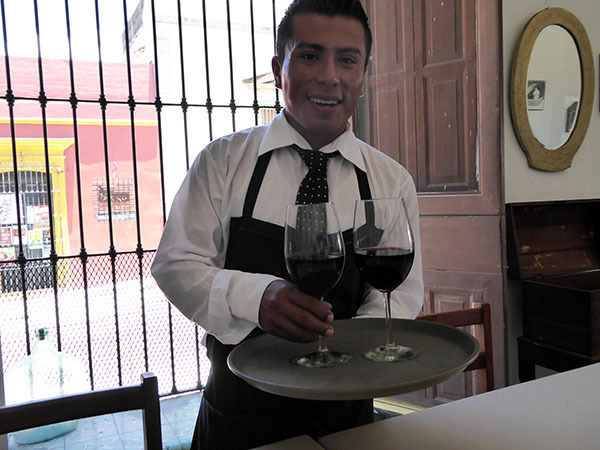 Both of us ordered the daily special with the pork ribs, and our waiter arrived promptly with our glass of red wine. As we enjoyed our meal, we were able to people watch and delight in the action on the street. 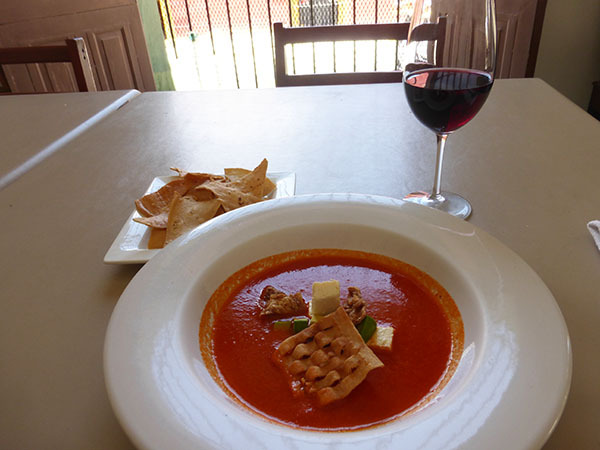 Beautifully presented and delicious in flavor, we slurped on our Aztec soup with mild cheese, slice of avocado, a piece of chicharone and fresh corn chips. 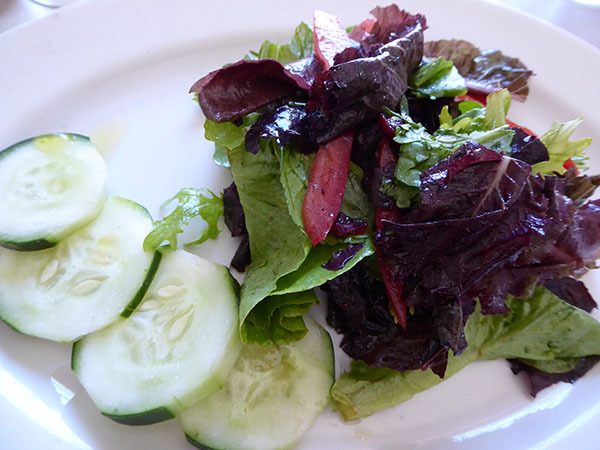 The salad consisted of a variety of lettuces and greens, sliced tomatoes and cucumbers. Dressing was a mild but delectable vinaigrette. 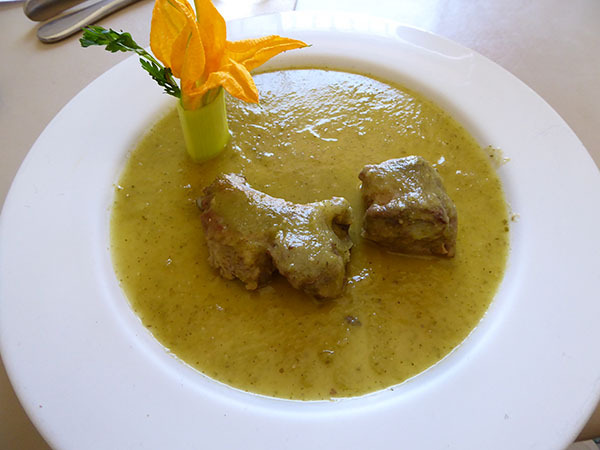 Pork ribs in a sea of salsa verde (not too spicy) with a squash blossom flower in a rolled leek was our main course. The chef has an artistic eye. 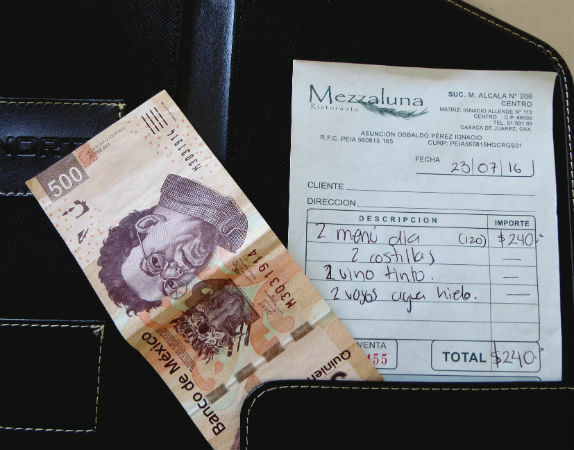 Everything in our meal was included and for $13USD plus tip for the two of us, we had such a tasty lunch. The downstairs restaurant was breezy and comfortable. Seating for about 15 customers is available here, but what is a favorite with Mezzaluna's clientele is their rooftop deck. 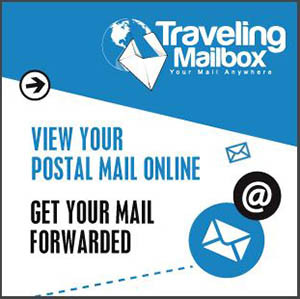 From here you have a full 360 degree view of the street below and all of the activity. 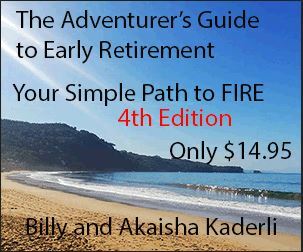 Watch the sun set and the moon rise here while eating a delicious meal. 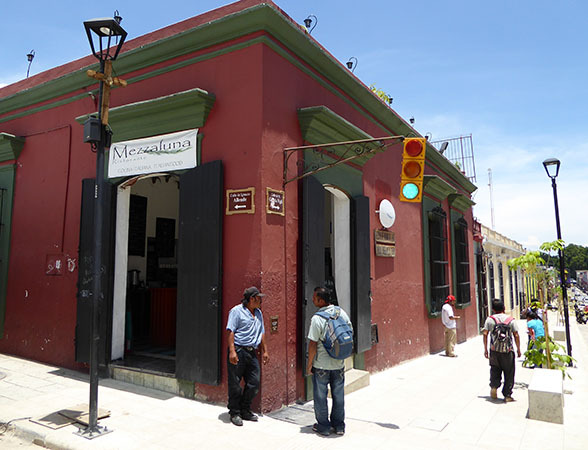 If you visit Oaxaca city, most certainly make a stop and have a cocktail, glass of wine and enjoy a plate of Italian delight.